Home » Training Videos » What’s Your Pickle? Home → Shop → Training Videos → What’s Your Pickle? 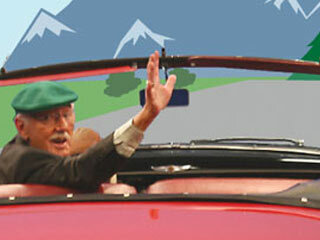 Bob Farrell is back!...and he's more entertaining than ever. This time he hits the road in a fun-filled search for the secrets of the "world-class pickle givers". You'll love the stories and truths he discovers! …and this time he’s on a fun-filled road trip in search of inspiring pickle stories from across the nation. 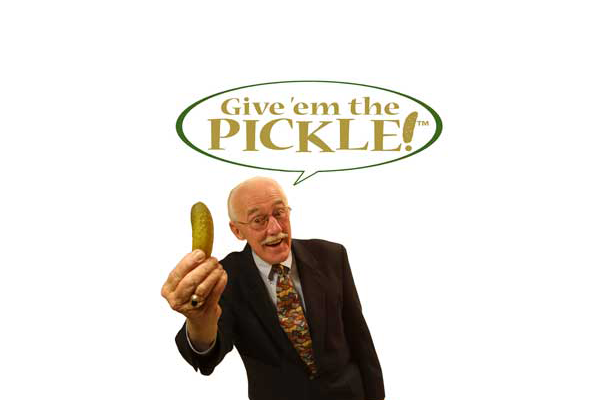 With his infectious enthusiasm for customer service, Bob uses these stories to reinforce the Pickle Philosophy and help viewers understand that… What’s Your Pickle? is fun and entertaining, and offers a fresh new look at how your team can integrate the pickle-giving culture into your own workplace. CONNECT with your customers. How would you want to be treated? ANTICIPATE what they’ll need next. How can you be one step ahead? DELIGHT your customers. How can you exceed their expectations? INSPIRE yourself and others. Are you willing to do what it takes? Be sure to join Bob in this engaging new video as he inspires your team to connect with their customers and Give ‘em the Pickle! ANTICIPATE what they’ll need next.